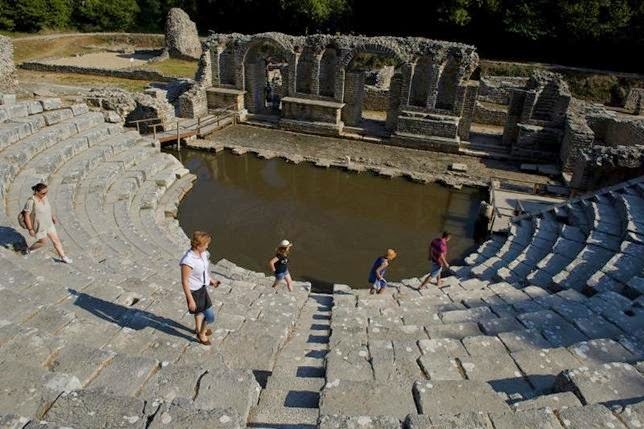 "As a visitor, one wonders how Albania, - a European country with such beautiful sea coast and of course bathing water, so high mountains to hike in and with so many well-preserved historical sites to marvel at, has taken over 20 years to appear on the international tourist map. Anyway, this fact is today probably Albania's greatest asset as a tourist destination. Capital Tirana is a colorful acquaintance with many popular restaurants and hip cafes, fine parks and inspiring pulse. Albania is mountainous. Adventure tourism is in its infancy but something that is invested vigorously. Already arranged both rafting and kayaking, wreck diving and hiking in the dramatic surroundings". How could it have taken over twenty years for a country that holds so much to see appear on the international tourist map?... Times have changed. Albania is nowadays an open country, and many of the people who fled Albania during the Stalin-inspired dictatorial regime has returned... There was a time when Albania was standing alone against the rest of the world. The dictator Enver Hoxha had in the 1940s, 50s and 60s chummy contacts with both Tito and Mao as Moscow, but broke in turn these into a confidence that Albania could be attacked from both East and West... 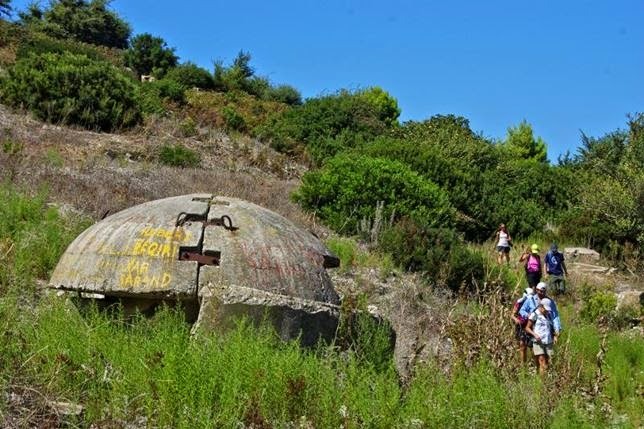 The bunkers vary in size and remains a prominent feature on the Albanian countryside. Some smaller bunkers are now used for everything from mushroom cultivation to cabanas while others razed to the ground so that building materials can be reused. Hoxha's own bunker on 2685 square meters just outside Tirana was among the larger and was until recently with the military's list of secret items. Most Albanian bunkers are a few square meters while Hoxha's bunkers holds 106 rooms and a cinema. It has now been opened to the public.... The world is notoriously full of places where cruel story turned into tourist attraction. In Albania stands island of Sazan, an hour's boat ride outside the coastal city of Vlora, in line to be such a place. ... the island since Roman times been used as a military base... now there is a hope that Sazan to have become an interesting historical and cultural outdoor museum of the Cold War. 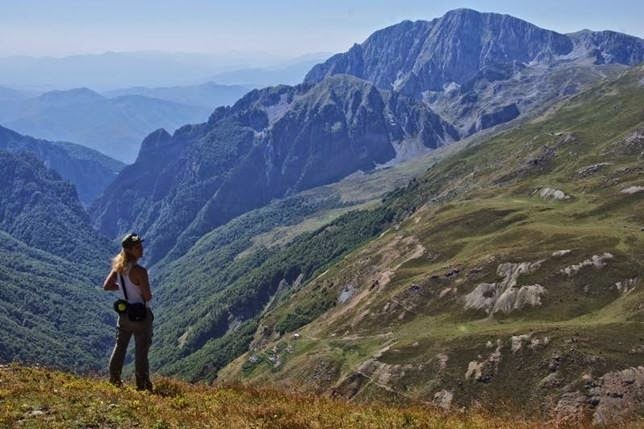 As a visitor, one wonders how it is that a European country with such beautiful sea coast and of course bathing water, so high mountains to hike in and with so many well-preserved historical sites to marvel at, has taken over 20 years to appear on the international tourist map. Anyway, this fact is today probably Albania's greatest asset as a tourist destination. Capital Tirana is a colorful acquaintance with many popular restaurants and hip cafes, fine parks and inspiring pulse. Heavy gray statues reminiscent of another time is now almost piquant feature of the cityscape that is characterized by hilarious lively venues where språkas, drinking cappuccino, latte, macchiato and domestic brew raki from early morning to late evening. Unemployment remains high and income disparities great but the younger generation in Albania face the future with confidence. The express speed. Albania is mountainous. Adventure tourism is in its infancy but something that is invested vigorously. Already arranged both rafting and kayaking, wreck diving and hiking in the dramatic surroundings.